Just how well do aerodynamically-profiled carbon clincher wheels perform? Do they justify the expense and, if so, which are the best? 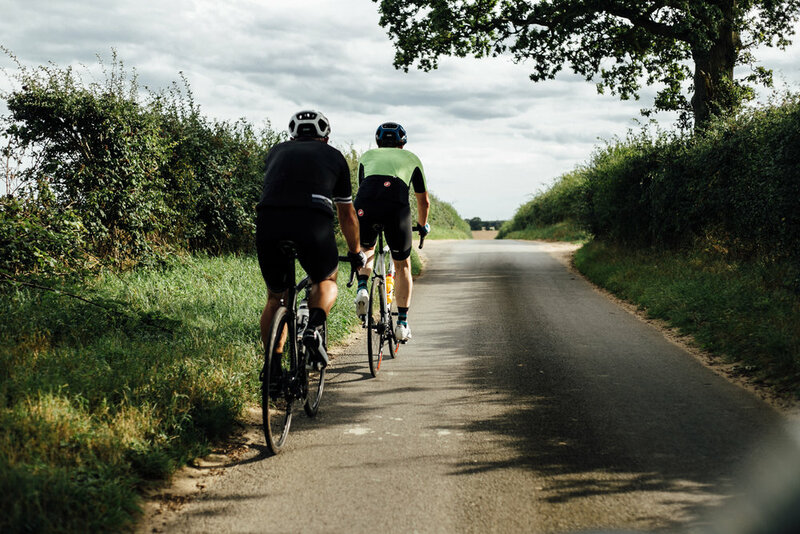 These were the questions posed by a couple of our readers, whose cycling curiosity had reached that stage where their intrigue demanded answers. Their correspondence however revealed that each was at a very different stage in his cycling development. 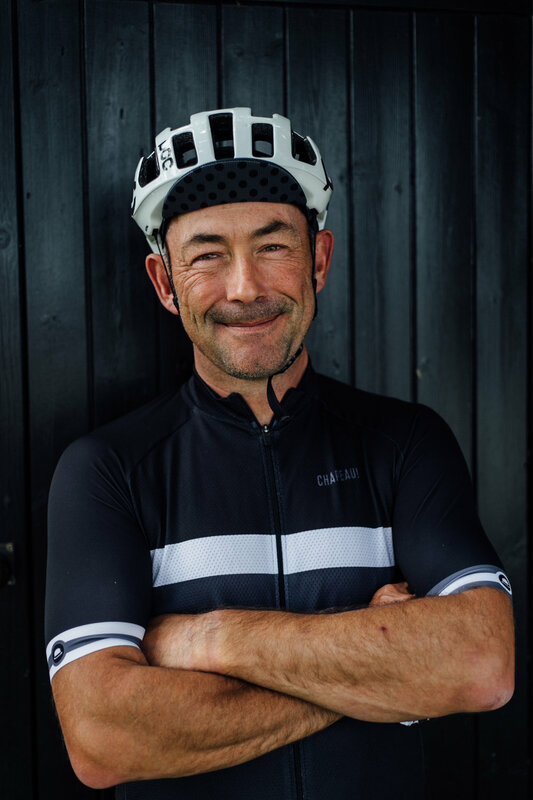 Ian, a recent returnee to the sport, was riding, on average, 150 miles per week. At weekends, when not ferrying his children to national and international sailing events, he takes part in sportives. Ian is highly competitive, utterly driven and a tad ruthless - so much so, that to some he's earned the nickname 'The Shark'. Dominick came to cycling from a very different route. He'd ridden, intermittently, on the same bike (an Ernie Clements, affectionately known as 'Ernie'), since his Sixth Form days. It was only when work colleagues began to invite him on group rides that the penny dropped, and now, six months down the line, he is on a more modern bike. 'The Tugboat' - a nickname Dominick earned from his ability to chug along all day, staying on the gas and pulling along lesser riders - has seen the light. When we met up, we found significant differences in their physiologies. Ian is 5'9” and weighs 14 stone, while Dominick is 6'5” and 12 stone. These are important variables to bear in mind, within the aero debate. Having discussed how best to answer the curiosity and questions of these readers, we contacted Campagnolo, wheel suppliers to Movistar Team and Lotto-Soudal. 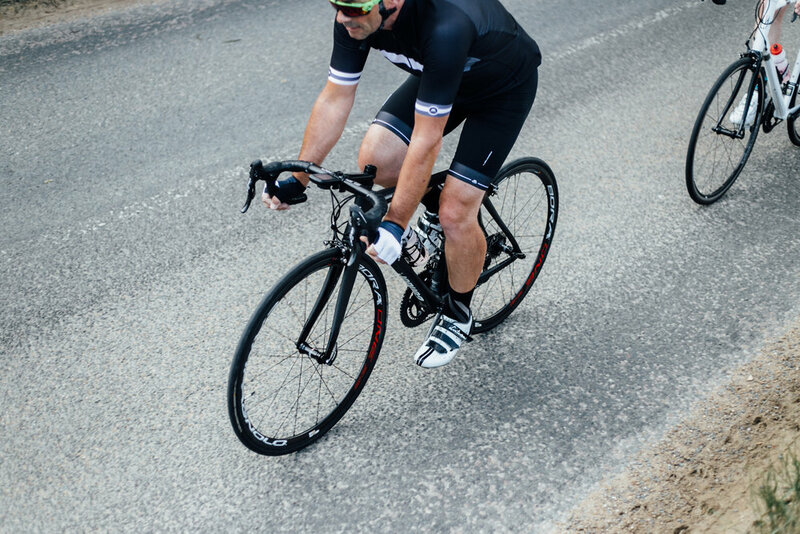 They responded by lending us a pair of their prestigious Bora One 35 carbon clincher wheels. The plan was simple: we chose a date, got both readers together and, along with photographer Sean Hardy and ace camera car driver Martin Duffell, planned a route. It began at ‘Base Camp #44’, a house in Kesgrave, near Ipswich, and led northwards through forest and agricultural land to the sea and the coastal town of Southwold. However detailed the planning for a shoot like this, you can never determine the weather. As with any event held in British Summer Time, nature will have the last say. When I awoke on the day of the shoot, the sun was beginning to stream through the curtains - this was going to be a good day! 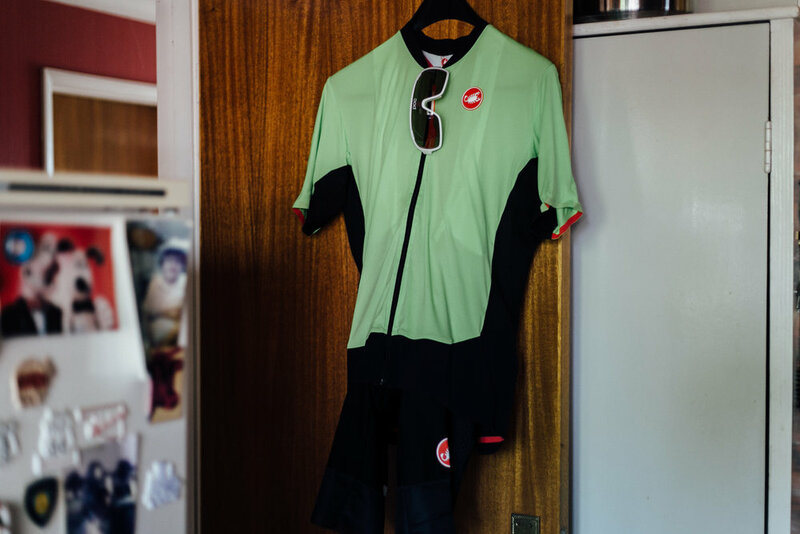 Arriving at #44 (Simpson’s country HQ) I was greeted by the sight of my bike already kitted out with the Boras, it looked seriously fantastic. These are a beautifully made products; the detailing, finish and quality just ooze from every component, but they are bordering on the boundaries of silly money. With a big price tag and fantastic looks they deserved to be awesome to experience too, and my word, nothing prepared me for that first pickup of the bike. It wasn’t just the weight, the bike suddenly came alive, it’s mass (what was left of it) was in the middle where you want it, not out in the rims. I could tell they were in a different league even by the time I’d reached the end of the driveway at #44 - by the end of the road I was trying to work out how I could afford a set! With lightning fast acceleration, the Bora’s felt electric - they brought my Condor Leggero (already an awesome ride) totally alive. As we pulled onto quieter lanes leaving the main road behind us I found I was travelling at least 2-3 mph faster than expected for what seemed to be no extra effort - these wheels fly. One shock was the noise when braking, a machine-like, laser gun abrasiveness is the only way I can sum up the sound caused by the specially dedicated pads the wheels come supplied with. I wasn’t expecting it but loved it. It acts as a wakeup call to those dozing behind you or for those inattentive pedestrians on mobiles. Thankfully we didn’t get to try them in the wet but the overall feeling of quality in their design coupled with their construction I’m confident they would have been superb. I’d heard that wheels of this nature have a reputation of wandering in a breeze was dismissed by these wheels - if anything they felt more secure than my standard wheelset - a pair of Mavic Kyserium pro. I can honestly say that I didn’t worry about it and at no point had to think about it, so they must have been good, really good. Okay, at this point, in what is as close as Simpson gets to a product review, it needs to be flagged up that these particular readers were chosen in part because of the compatibility of their machines with the supplied wheelset: both bikes had already to be fitted with Campagnolo drivetrains in order for this plan to work. We'd ridden the Boras beforehand and found their performance little short of astonishing. They were noticeably light, extremely responsive, but not prone to unpredictable behaviour when introduced to a crosswind. The advantages are psychological as well: mentally, they give the same type of feedback as if you have a motor concealed in your frame (perhaps the performance of carbon wheels explains the conspicuous failure of the UCI’s notorious i-Pad to detect any instances of ‘motor doping’). The Boras effortlessly reach and then maintain a far greater speed than aluminium wheels. On our first outing, we trimmed 30 minutes from our fastest time on a cherished route. As with all carbon rims, braking sensations felt (and sounded) different to those of their aluminium counterparts, but somehow reinforced the impression that we were riding with something very special. 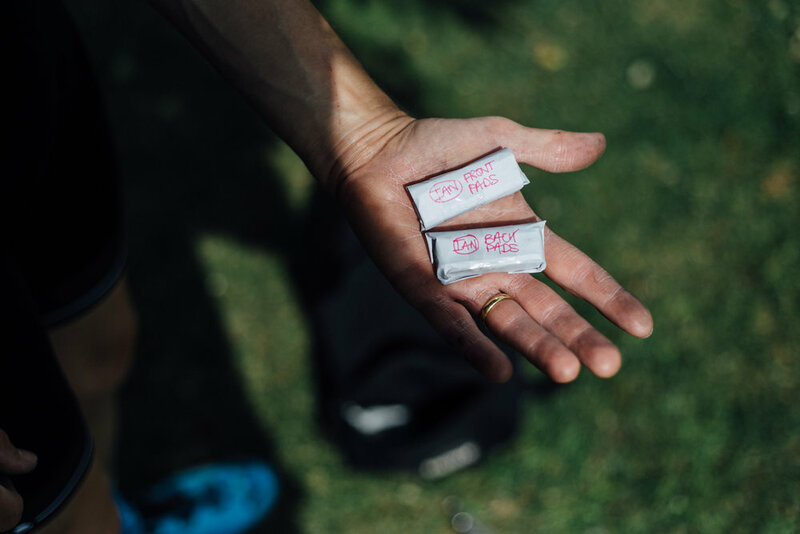 Being a relative newbie to the sport, this was a most intriguing opportunity, courtesy of Simpson and Campagnolo, to experience some major cycling high tech. Even before the big swop over, I could see the impact the wheels had on Ian’s performance. He’s a strong rider anyway but he seemed unable to hold his bike back - even his “gentle cruise” saw him drawing inexorably away with little effort. This led to the group getting strung out at times. As we swapped the wheels, I immediately noticed the weight difference from my own Zonda’s. I was also surprised at how easy it was to change the brake blocks over too. Back on the road, I noticed straightaway an improvement in initial acceleration from a standing start - reduced rim inertia having an effect? Once we got going, I found I was keeping up easily using what felt like the same effort I’d been struggling to hang on with on the outward leg. Admittedly there is a psychological element at work here, rather like driving a fast car, you’re gonna give it a “little” push. As we headed out onto open country, I did give it that “little” push just to see what difference the wheels made at speed. Ian still hung on close behind; but later admitted only just being able to do so: I like these wheels! Although there was not much wind for a real test, I didn’t feel any tendency for the wheels to pull in cross winds. Braking on the carbon rims makes a louder, hollower noise but I didn’t notice any changes in stopping distance. The blocks squealed a bit on Ian’s bike but not on mine so maybe some bedding in required depending on your caliper set up. As a group, we were noticeably better matched on the return journey, my “heavy” Zonda’s dragging Ian back! Ha! 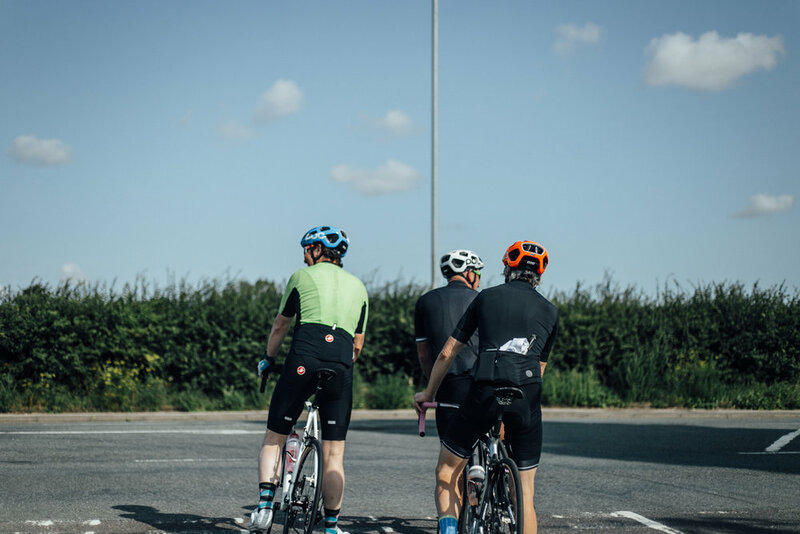 Returning with big smiles and 76 miles clocked up, the day had proven to be a resounding success. 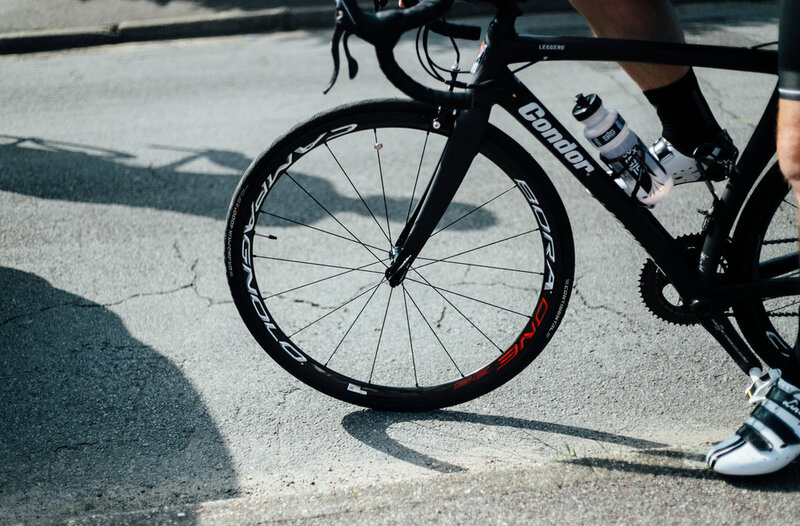 We felt accomplished in our primary mission, that of allowing two of our readers to experience first-hand the sensational performance gains offered by premium aero wheels and introducing them to an exceptional example from the House of Campagnolo. Okay, maybe money can't buy happiness, but it can buy a pair of top class carbon hoops which, to a keen road cyclist, equates to much the same thing.